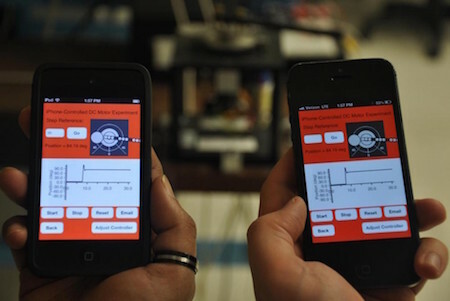 A group of researchers have developed a system that connects experiments and their robots to the Internet; students can then manage the laboratory settings via smartphone or tablet. The researchers were led by Professor Vikram Kapila and doctoral student Jared Alan Frank of the NYU Polytechnic School of Engineering. Regardless of their location, students using these applications can tap into their experiments online and collect and analyze data in real-time. This is beneficial for team members who can’t be physically present during an experiment, or for those that get a brilliant idea while walking about. The applications also offer multiple modes of interaction, so people with disabilities can can control their experiments with the most appropriate methods. Students can swipe, tap, or speak into their smart device to control their lab settings.